Here at The Cleaners of Ruston you will find we take cleaning seriously. 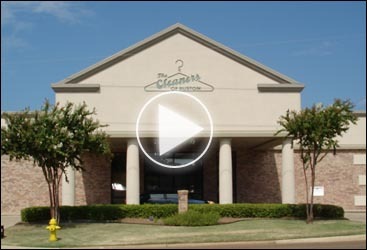 When James G. Shepherd purchased The Cleaners of Ruston in 1991, he brought 30 years of experience with him. He and our team of employees have worked diligently to provide this area with professional drycleaning and laundry services, with unsurpassed customer service. Our goal is to give high quality dependable service to each one of our customers. Our state of the art plant was built in 2004 to better serve our customers in Ruston, Lincoln Parish, and surrounding areas. So, for all of your drycleaning and laundry needs, please make The Cleaners of Ruston your cleaners of choice. The Cleaners of Ruston is a member of The Drycleaning & Laundry Institute, (DLI) International Organization, and Southwest Drycleaners Association, (SDA) Eight State Organization.